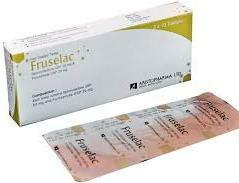 What Are The Uses Of Furosemide? Furosemide is used to treat the fluid that builds up underneath the skin due to kidney disease, liver scarring or heart failure. This reduces swelling in abdomen, arms and legs and also reduces shortness of breath. It basically helps a person urinate so that they lose excess water and salts. What Are The Side Effects Of Furosemide? Blurred vision, dizziness, ringing in ears, headache, hypokalaemia and low blood pressure may occur till your body gets used to the medication. Serious side effects are loss of hearing and electrolyte imbalance. What Are The Contraindications Of Furosemide? Please inform in advance if you are suffering from kidney and liver issues, gout and any other problem preventing you from regular urination. Diabetic patients should monitor their blood sugar regularly while on medication of this drug.